Demons, orcs, half-orcs, and a half-elf. 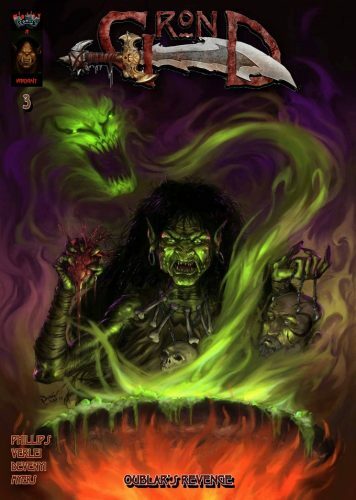 Kickstarter offers some of the best fantasy and horror comic book options. This week, I’m counting down three winning comic book Kickstarters. Ends by Monday, June 26 2017 3:10 PM EDT . “Grond is now Kallok. Obberoth is dead. Valara’s fate is decided by Ugreth. Oublar is close to getting what he desires, being Mok’Dar. Obberoth is dead! A peaceful gift for a king turns out to be the death of him. Valara has been accused for the death of Obberoth and is outraged and is now fighting for her life. Oublar demands Taurok, Juug’la of the clan to hold a clan trial for the sentencing of Valara. Oublar’s plan has now been set in motion. Only Mok’dar can grant her freedom. FUNDED AND WORKING ON STRETCH GOALS. Full Disclosure: I’m co-writing a comic set in the Grond-verse for Midcity Comics. Do you have enough orcs in your life? No. No, you don’t. 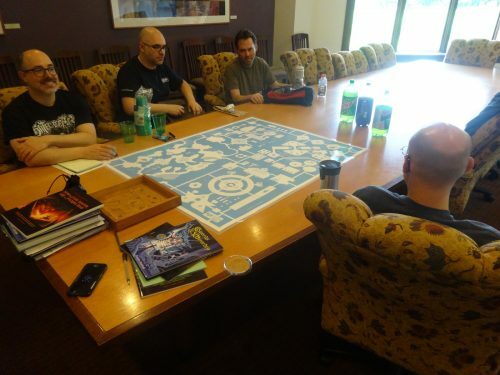 If you break out D&D or Pathfinder or Shadowrun or any tabletop RPG on the weekends, chances are you’re looking for more orcs in your day-to-day. Michael Phillips has you covered with the Grond series! A half-orc fighting his orc family! Orc-errific! Grond is a half-orc and the son of a prince searching for acceptance among his orc brethren. Since these are orcs, they either accept him or plan to gnaw on his bones. Fortunately for the reader, they opt for bones and we get to enjoy the fights! This is a story of political intrigue, murder, and revenge. I’ve mentioned Grond several times over the course of its campaign. I’m excited about the book! The stories are from the orc point-of-view… No one but Michael Phillips would do that. For his part, Michael embraces the world and the orc culture. It reflects in the brutality of his work. This Kickstarter offers Grond #3 as well as the option to get Grond 1 to 3 and other Midcity Comics goodies. Michael’s completed ten Kickstarters, so this campaign and the production cycle are a science. Ends by Sunday, June 25 2017 3:01 AM EDT . “”With a world divided, who do you turn to?” Niobe by Sebastian Jones, Amandla Stenberg, Ashley Woods, Sheldon Mitchell, & Darrell May. While first introduced in The Untamed, Niobe’s solo story begins years later with the character as a teenager. A child of prophecy is on the road to fulfilling her destiny… Niobe: She is Life. And the upcoming sequel… She is Death. FUNDED AND DESTROYING STRETCH GOALS. 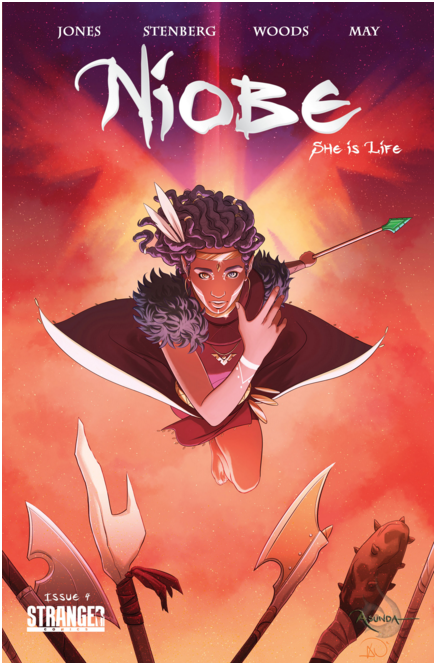 Niobe: She is Life is a beautifully illustrated graphic novel. Not enough good can be said about this project. The production values are second to none at Stranger Comics. Their books aren’t just comics, they’re art books. The art. Ashley A. Woods: She [well, her art] is Life. What first pulled me into Niobe is Ashley’s visuals. Her designs captivate the reader even as they capture the spirit of the scripts she works from. The work she does as she weaves the world of Niobe into a visual cornucopia is staggering – it’s bright, beautiful, alien, familiar, and wonderful. For Niobe, Ashley’s work set the stage and made this a comic worth hunting down. But, don’t take my word for it, at the end of this article, I have several pages from Niobe featuring Ashley’s work. The praise for the art is no slight to the work of Sebastian A. Jones, Amandla Stenberg, Darrell May, or Sheldon Mitchell. All of them bring their AAA games to the table. I cannot wait to have this book in my hands to take in all of the design elements poured into each page. 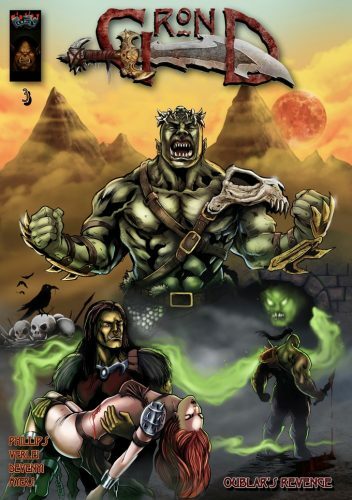 The campaign has several other graphic novels from the same universe available.For the RPG side of my life, it also has the Niobe Pathfinder book as an add-on. 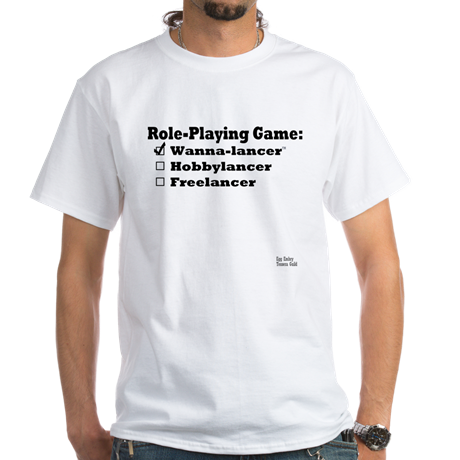 “Want to play in Niobe’s world? 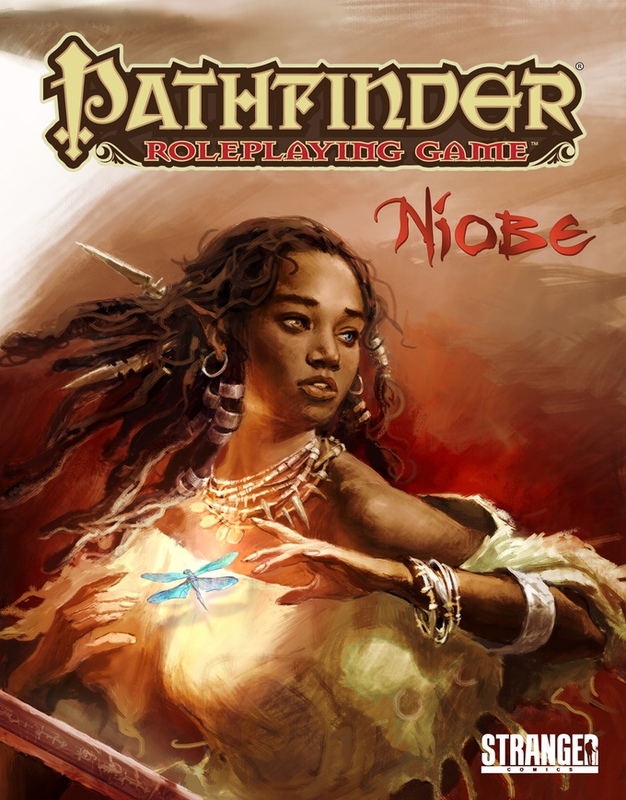 Pathfinder is making a 32 page supplement book for Niobe, allowing fans their first opportunity to game in Asunda.” Comics and RPGs? Perfect for lil’ Egg Embry! Ends by Friday, June 23 2017 5:00 AM EDT . 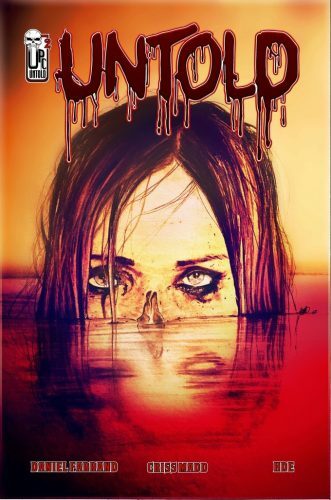 “Untold is a horror comic series that combines psychological unrest, with striking visual gore, to create a truly terrifying experience. Through a series of dark and twisted visions shown to her by a disfigured demon. Alice must attempt to separate fact from fiction, and unravel the truth behind her Grandpa’s decade long stay in the UK’s most notorious insane asylum. After a short lived reunion with her beloved grandpa, Alice finds herself confronted by the grotesque demon, Daisy, and is soon plummeted into a dark, and twisted vision. Issue #2 will introduce The Dark Figure, who we briefly saw in issue #1, as we delve deeper into his world, and discover exactly what he is capable of. Untold #1 (28 page) was successfully funded in 2016, thanks to the amazing support from 146 backers. We are offering anybody who may have missed out first time round, an opportunity to grab a copy of issue #1 within this Kickstarter. Cut off your nose to spite your face? With a demon, would that be for spite or for Clive Barker reasons? Untold’s monster is a demon child without a nose named Daisy. Two issues – one in the can, one to be created using funds from this Kickstarter – of demons and asylums are available from this campaign.While a comic book project, this series has the feel that horror RPGs strive for. Creator Daniel Farrand presents a horror world of dark visuals and scares. Backing this campaign offers the option to get both issues for a deeper inspection of the world he’s crafting. 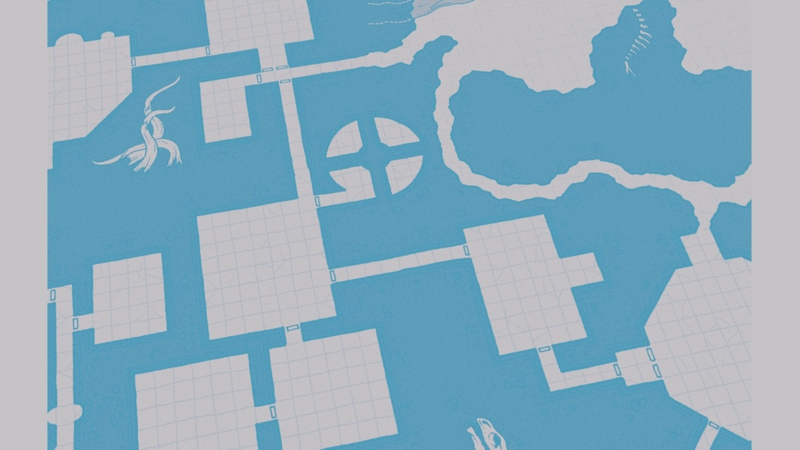 Check out the Kickstarter here – The S’rulyan Vault II.